Newhaven-based Dandelion Charm combine prog, folk and rock influences into a luxurious blend of intricate harmonies, soaring melodies, superb musicianship and heartfelt lyrics. Imagine Fleetwood Mac meets Opeth and CSN meets Yes. 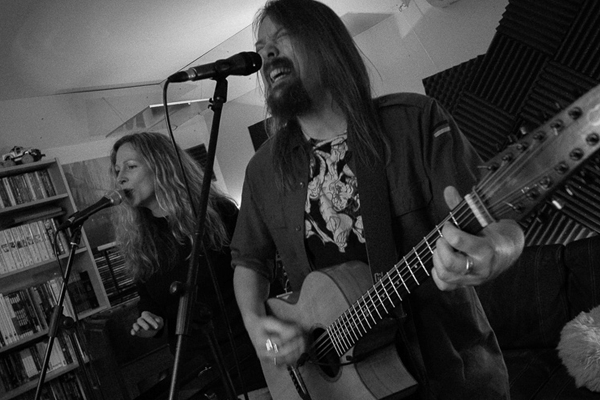 With a background working in a commercial studio, John brings over twenty years of song-writing and production experience to Dandelion Charm. Clare, meanwhile, is a long-time visual artist and performer and her love of storytelling manifests itself in her heartfelt lyrics and emotive delivery. They are delighted to be joined at Purbeck Valley Folk Festival by the exquisite vocal harmonies of Bob Burke, guitarist in the Dandelion Charm band.